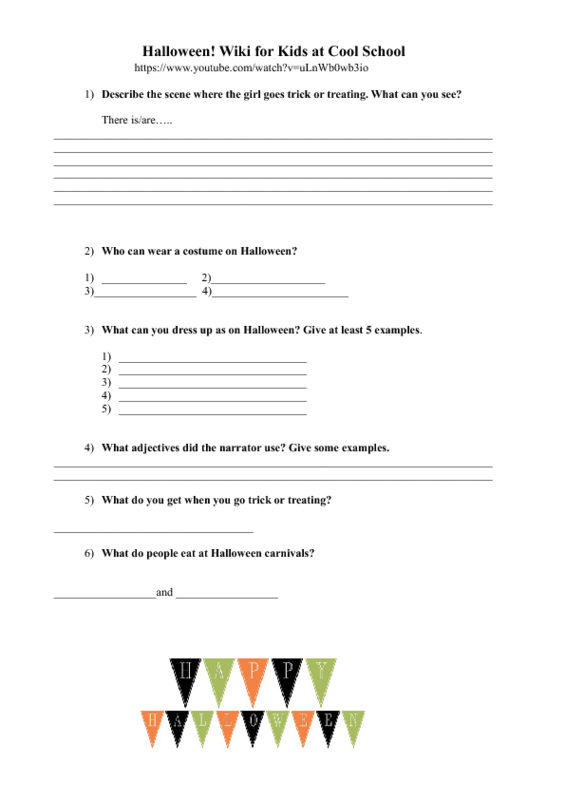 In this fun Halloween worksheet aimed for kids they need to listen and complete some sentences with Halloween-related vocabulary. There is also a basic scene description task. 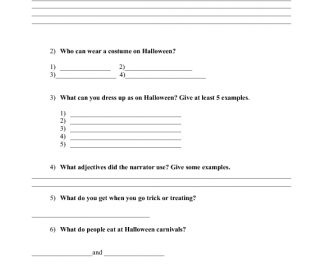 The second part of the worksheet is about witches and how to recognize them.